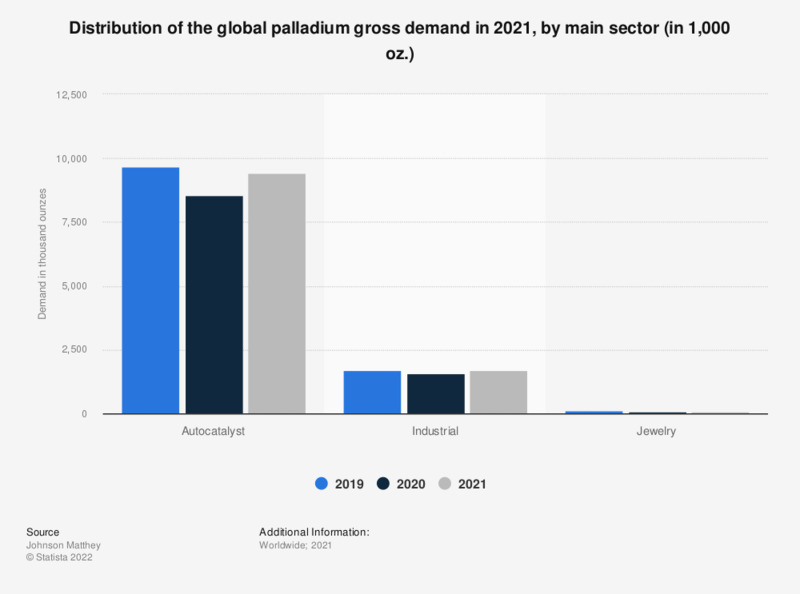 This statistic shows the distribution of global palladium demand in 2017, with a breakdown by main application. In that year, approximately 83 percent of the global palladium consumption was used to manufacture automotive catalytic converters. The percentage figures are Statista calculations based on the absolute values provided by the source.